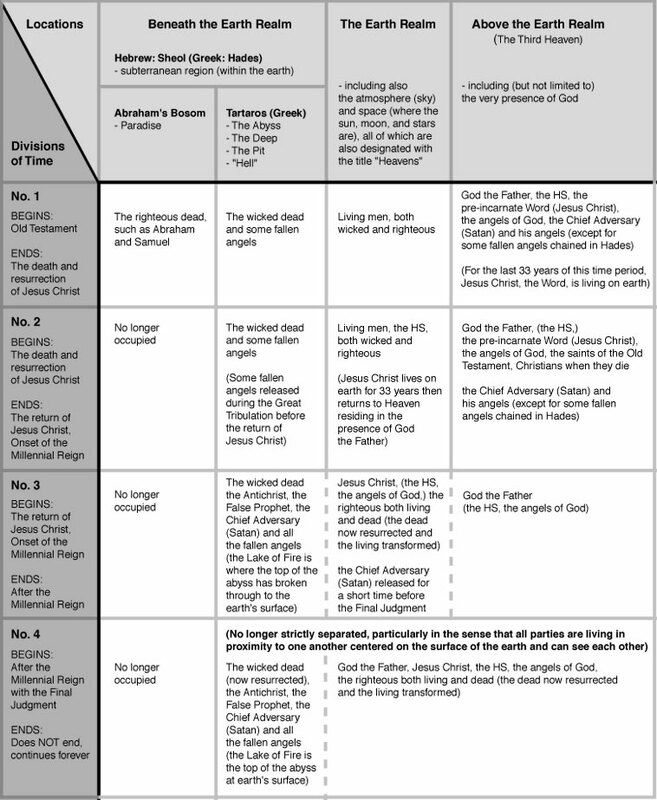 This chart is divided into 4 time periods and is designed to show where the following individuals or groups reside in each time period: Jesus Christ, Living Humans, The Wicked Dead, the Righteous Dead, the Righteous Angels, some Wicked Angels (specifically those who are imprisoned), the Chief Adversary (Satan), the False Prophet, and the Antichrist. The 4 time periods were divided according to when major changes occur to where one or more of these groups are located. For an in depth study outlining the Biblical evidence from which this chart was derived, please visit our series of articles entitled, "Bible Cosmology."